Stretch Meehan was the first truly tall man to achieve fame as a professional basketball player. In an era when there was a jump ball after every basket, Meehan’s ability to consistently get the center tap made him very valuable. Meehan was a strong rebounder and because of his size was fouled at lot. Despite seldom scoring from the field, Meehan was often among the top scorers because he was a fine free thrower. During his final collegiate season (1917-18) at Seton Hall University, Meehan was also playing professional basketball under the assumed name of Stretch Hurley in the Pennsylvania State and Connecticut State leagues. After graduating from Seton Hall, Meehan immediately established himself as a force in the professional game. In his first three Eastern Basketball League seasons, with three different teams he played in the championship finals. The 1919-20 Scranton Miners lost the deciding game of playoffs by a single point. With the exception of the 6’7″ Meehan, none of the starting lineup was over 5′ 11”. Two players were 5′ 8″ and one was 5’7″. 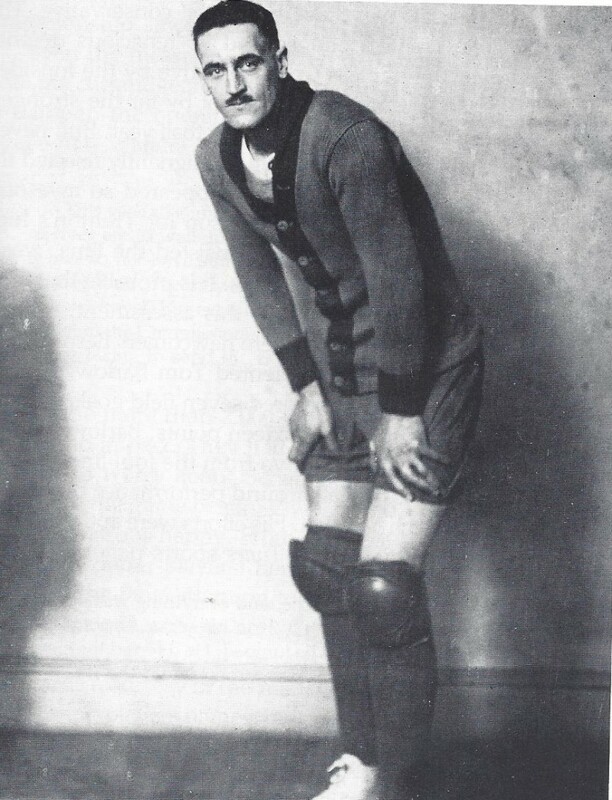 The next season (1920-21) his Germantown team won the Eastern League title. In 1921-22 his Trenton club faced off against the legendary Mew York Celtics for the title. Meehan outplayed the Celtics’ veteran center Horse Haggerty by a wide margin, but Trenton lost the series. The following season, Trenton won the first-half of the EBL split-season and was undefeated in three second-half games when the league collapsed. At the time, Meehan was the league’s fourth best scorer. He remained a top-ten scorer during the next three years of play in the Metropolitan League. Meehan enjoyed his last productive season with the 1926-27 Philadelphia American Basketball League team. Age and nagging injuries eventually took their toll and Meehan shuttled between seven different teams in his final two pro seasons in the ABL. Meehan graduated from Fordham Law School in 1923 and practiced law in Newark, New Jersey until his death in 1968.